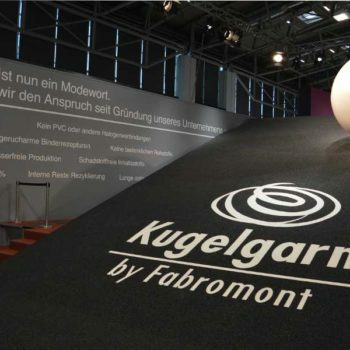 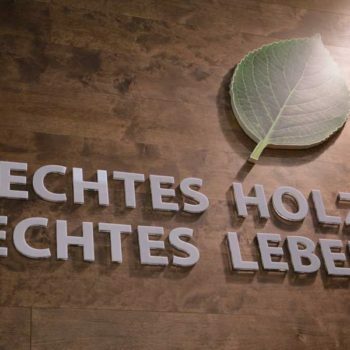 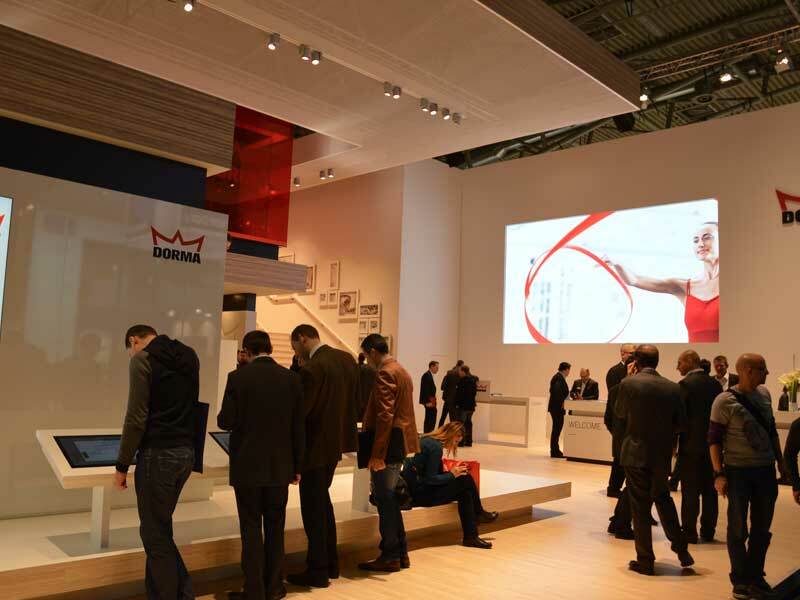 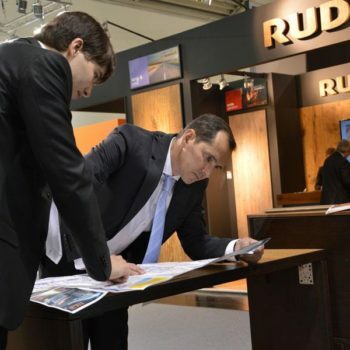 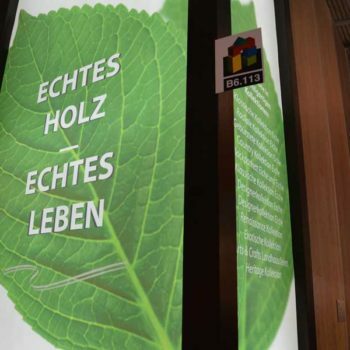 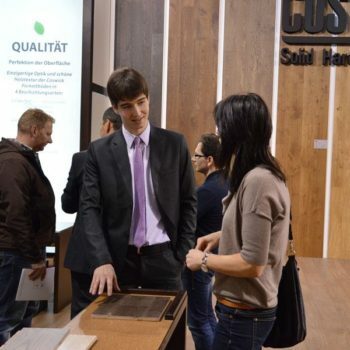 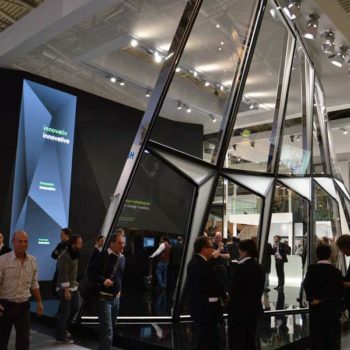 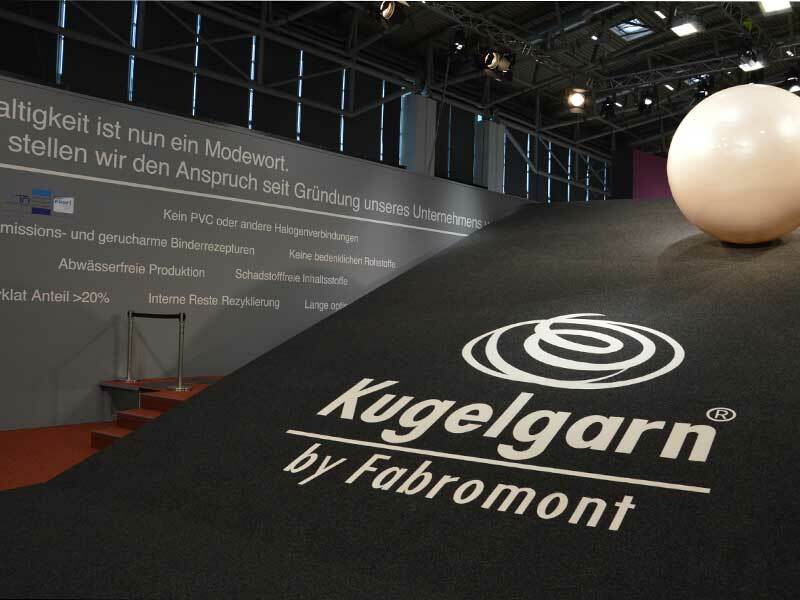 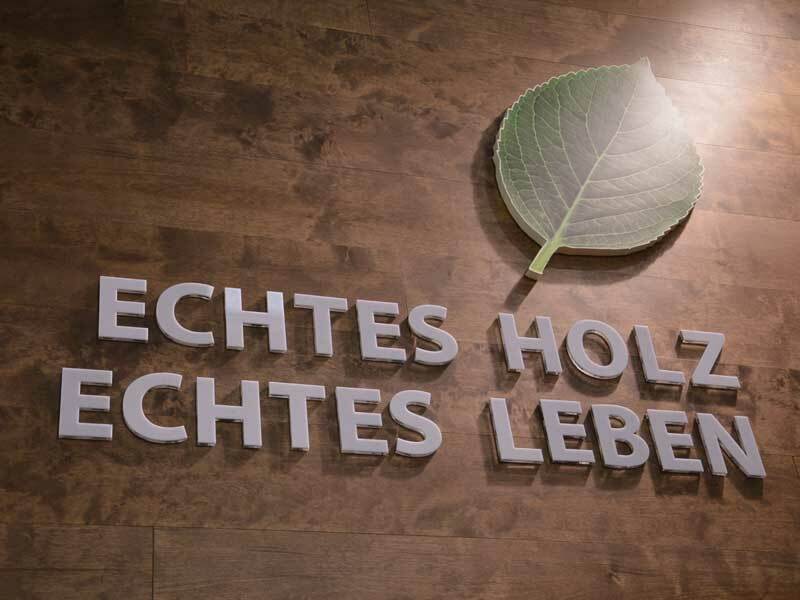 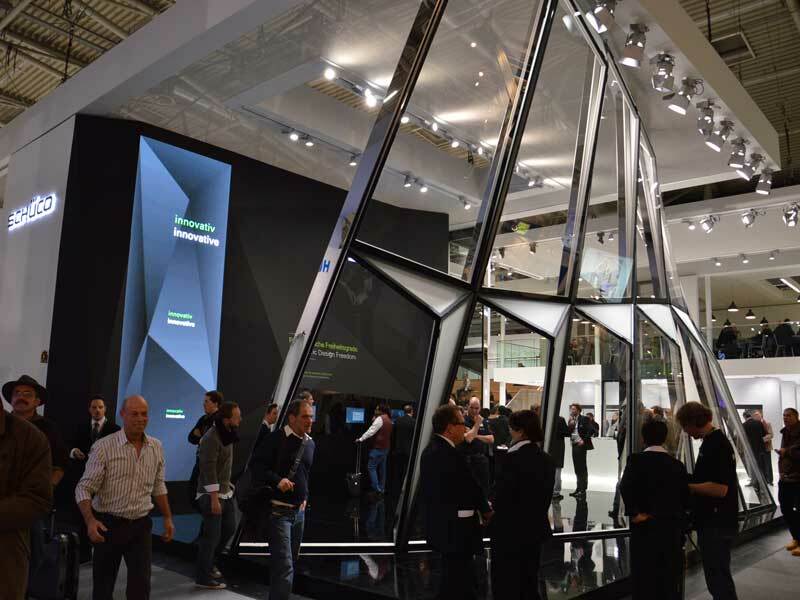 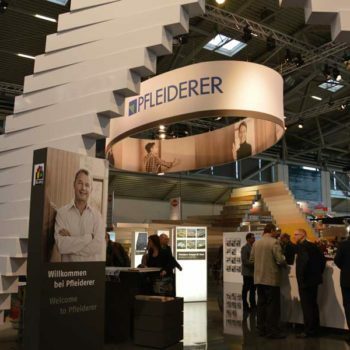 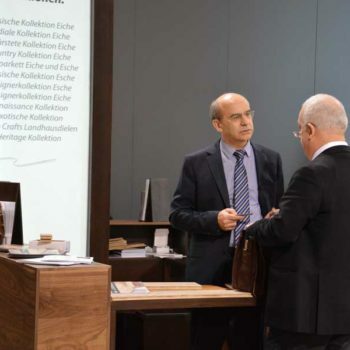 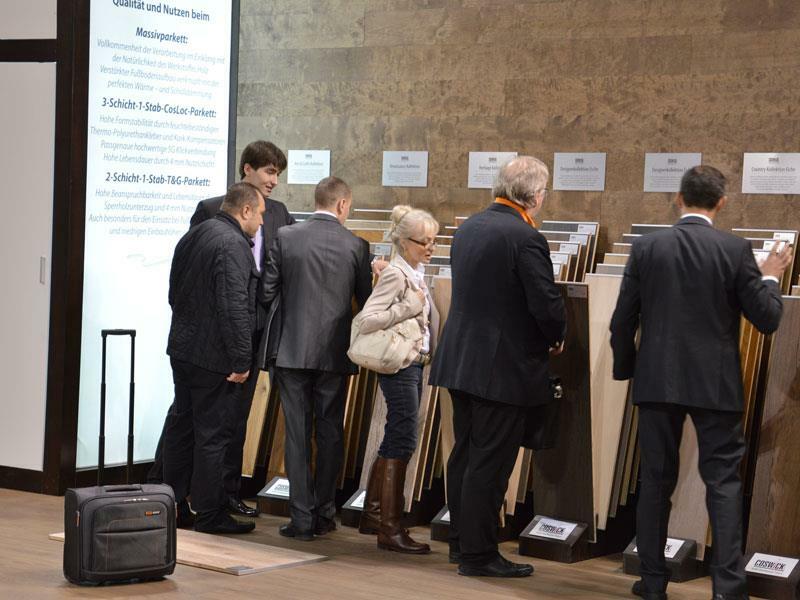 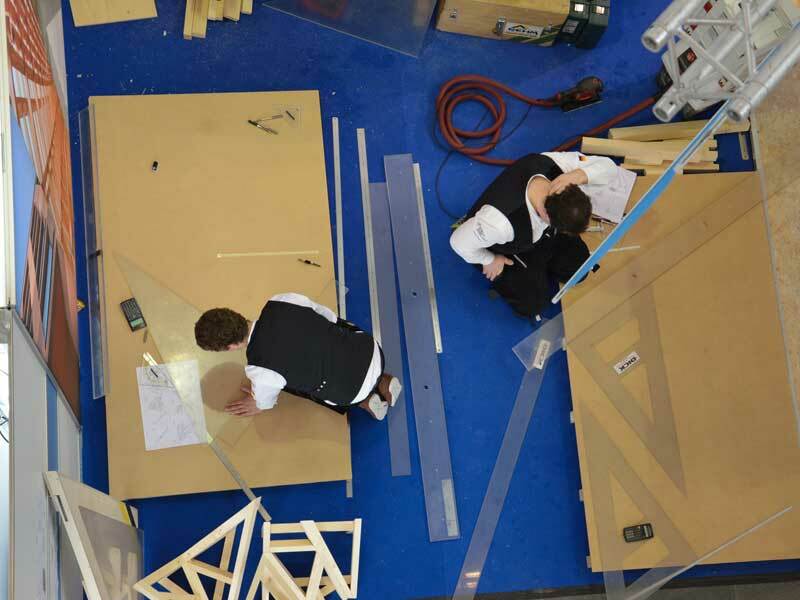 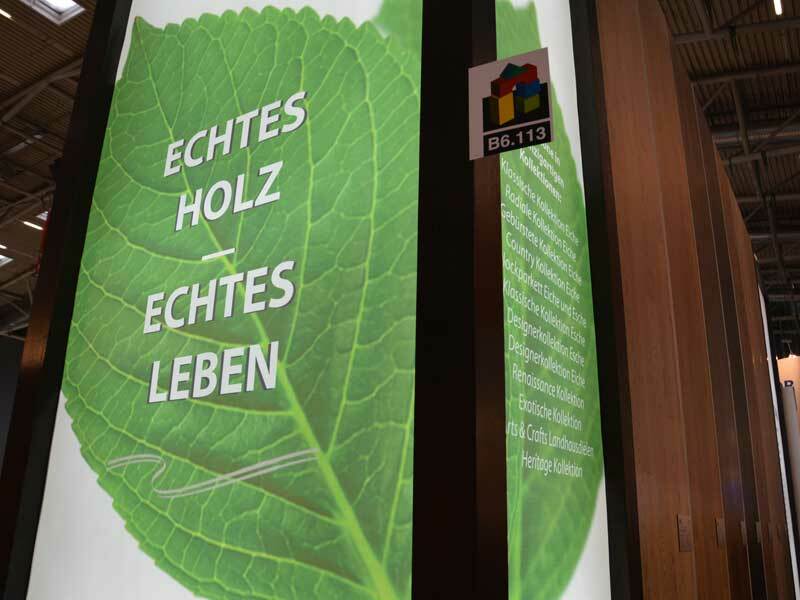 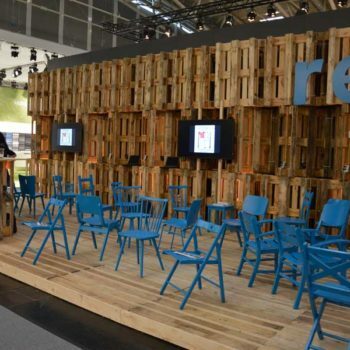 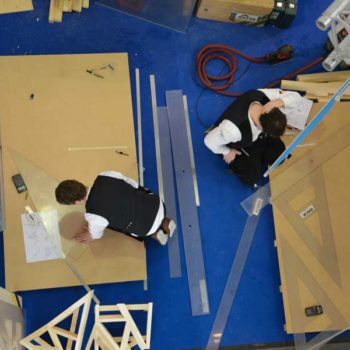 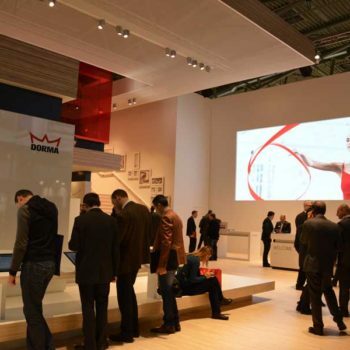 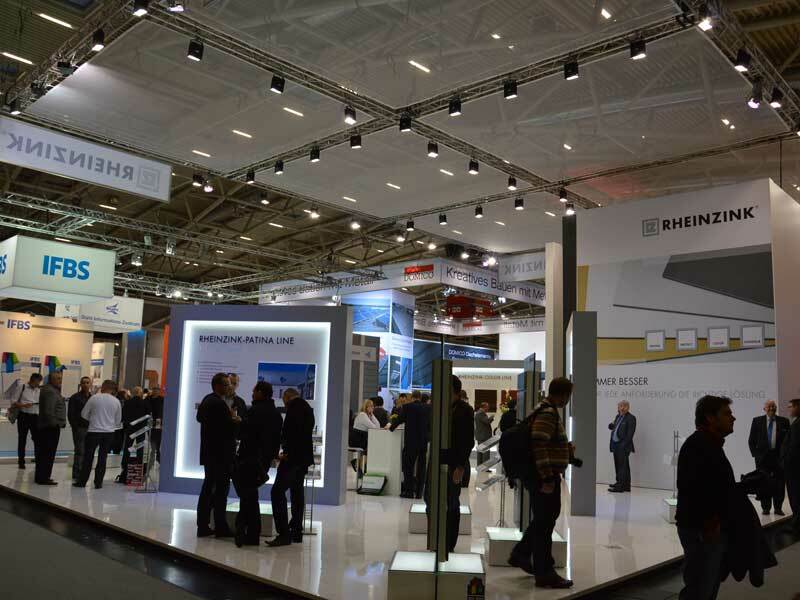 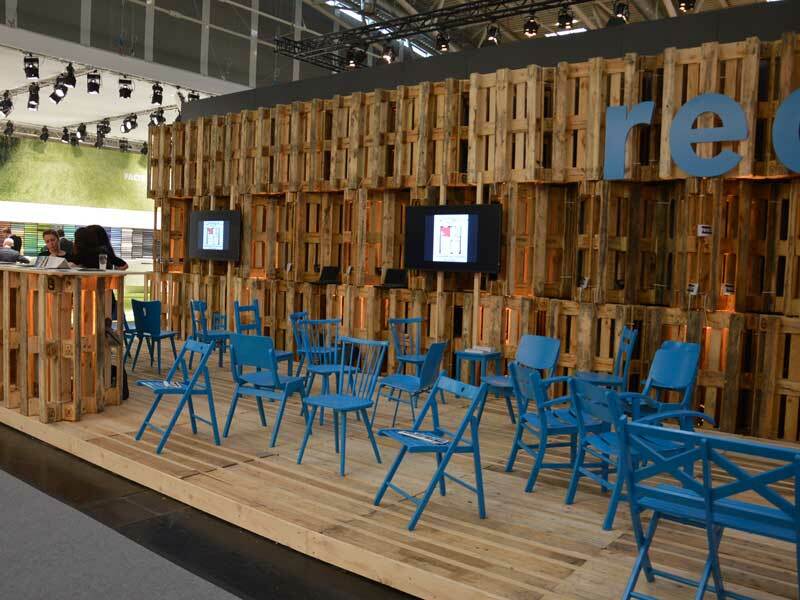 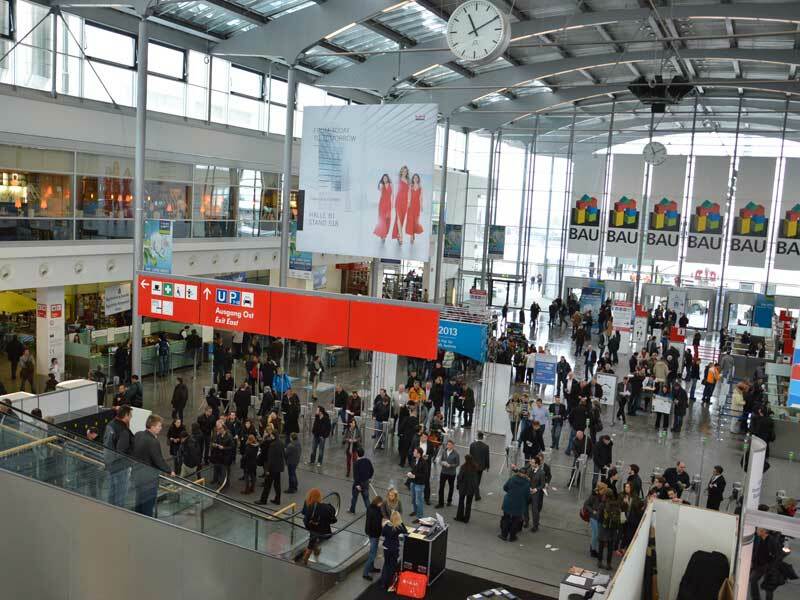 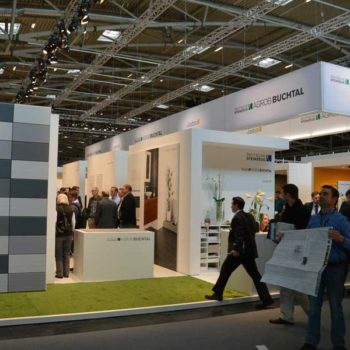 The 20th International Specialized Exhibition of Architectural Design, Building Materials and Systems, the BAU 2013, took place in Munich, Germany, January 14-19, 2013. 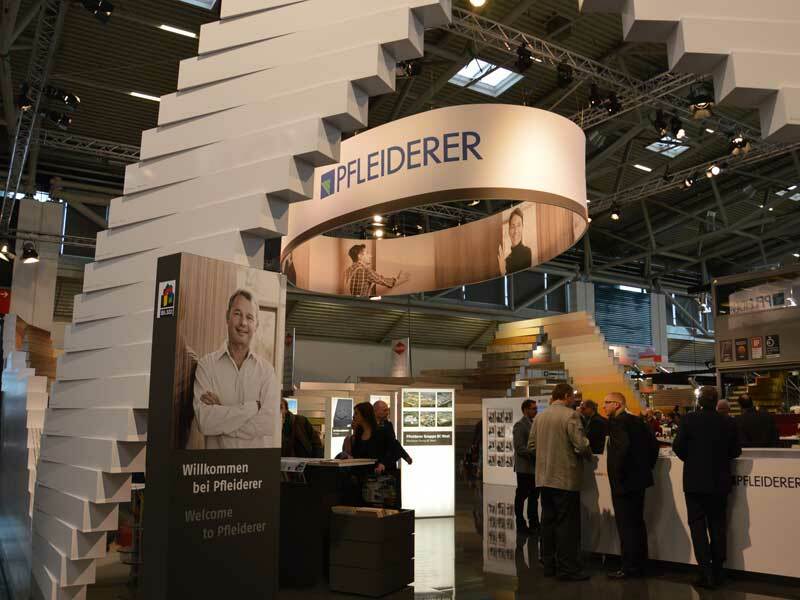 This year’s exhibit commenced with a speech by Peter Ramsauer, Federal Minister of Transport, Building and Urban Development. 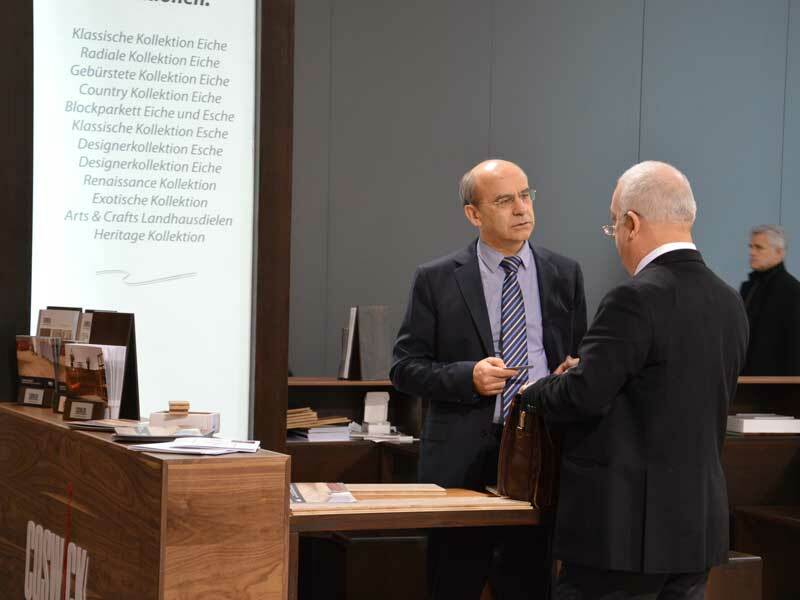 Dr. Ramsauer talked about the “energy revolution” – extremely energy efficient buildings of the future that will produce more energy than they use; Dr. Ramsauer stressed that the era of new energy will lead to an export boom for Germany. 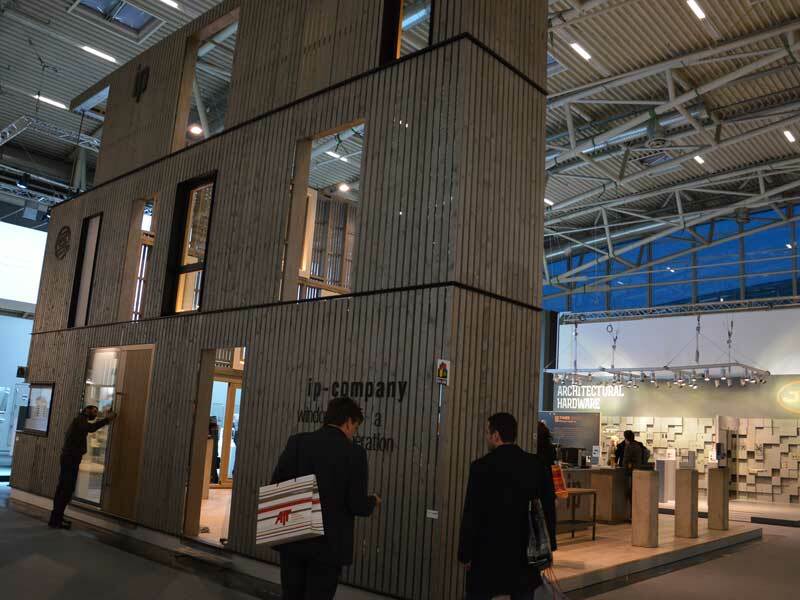 Leading architects, including Daniel Libeskind and Christoph Ingenhofen, emphasized BAU status as the world’s best platform for exchange of ideas among architects. 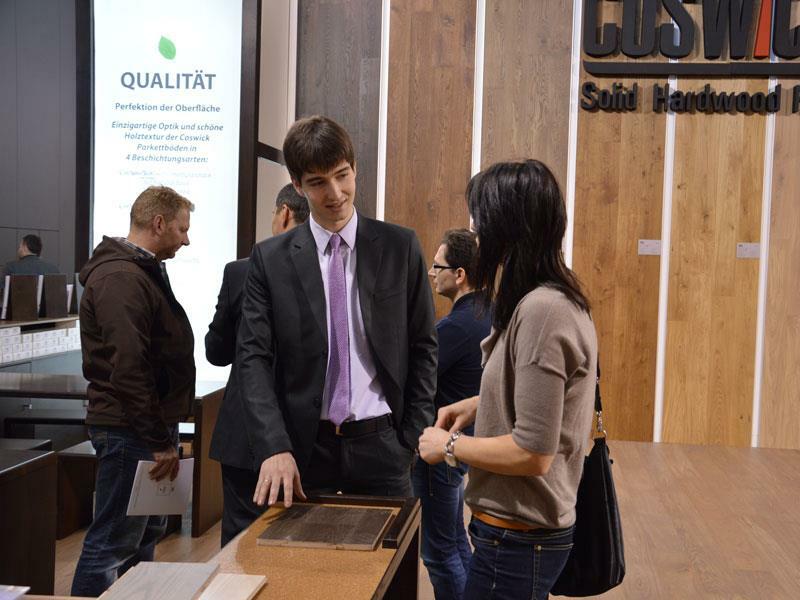 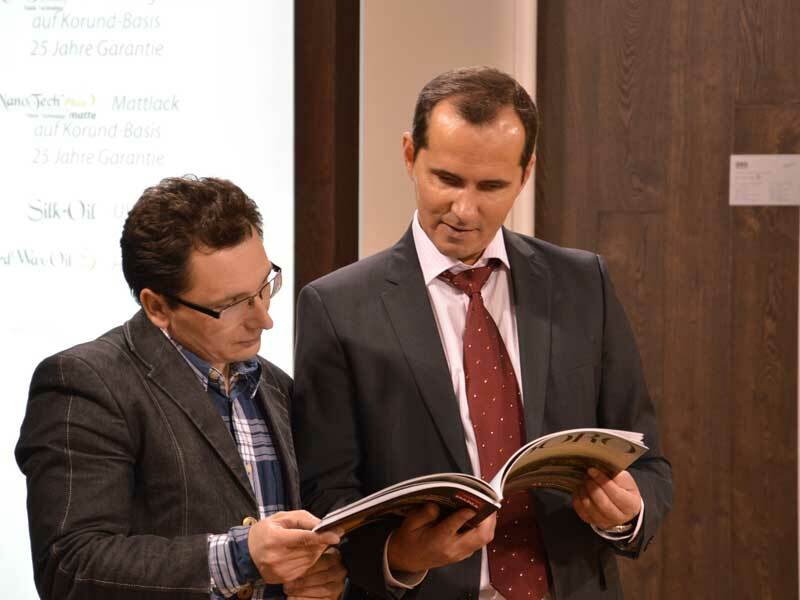 The 2013 exhibit attracted more visitors than ever before, including foreign guests and industry professionals. 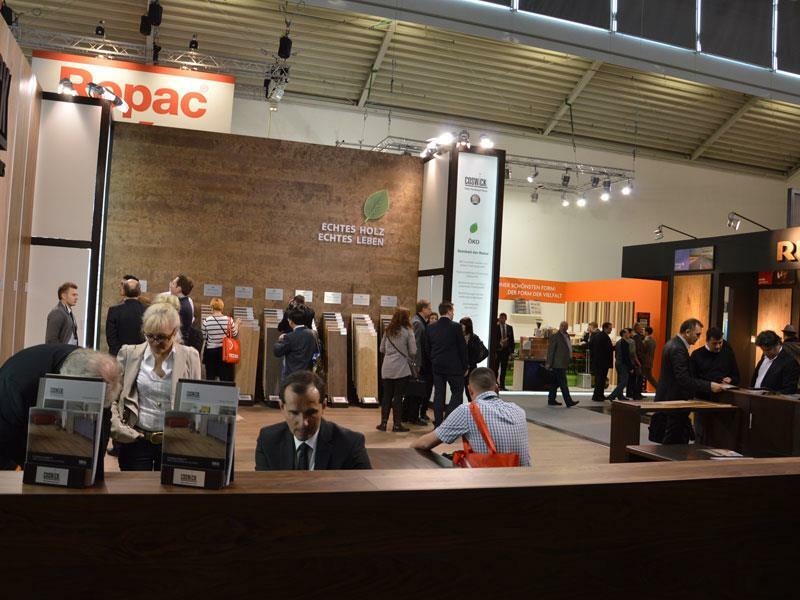 All six days of the show, the pavilions were filled with satisfied exhibitors and guests. 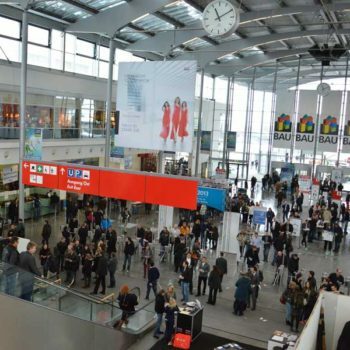 Despite the challenging weather conditions, snow-covered roads and hundreds of delayed or cancelled flights, over 235,000 visitors made their way to Munich and the overall number of guests exceeded that of 2011. 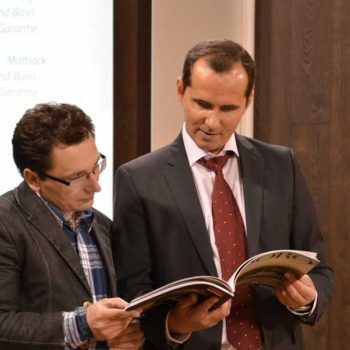 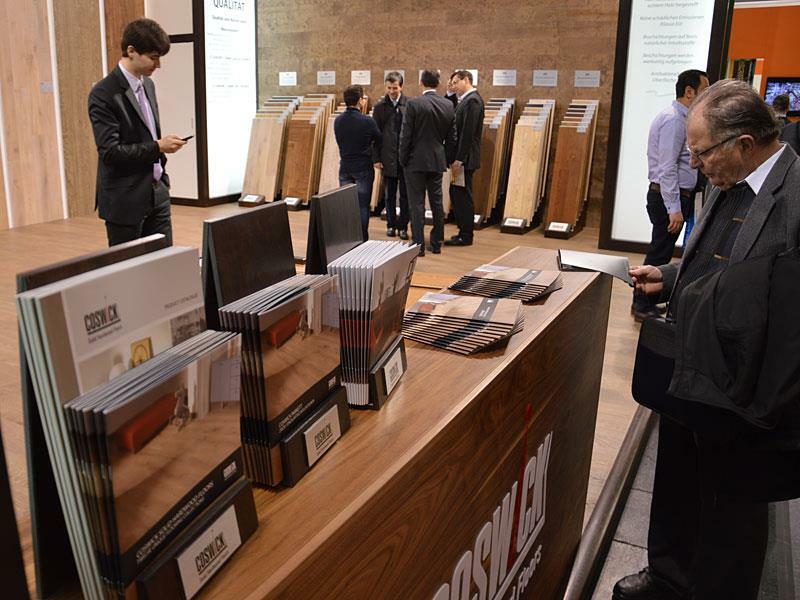 This year, for the first time, the number of foreign BAU guests exceeded 60,000. 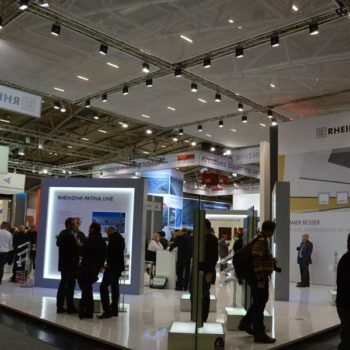 Among them, nearly 3000 guests visited from Russia, 1000 from China, and 750 from Japan. 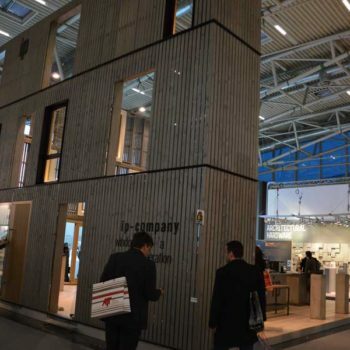 As many exhibitors noted, this year’s BAU was held at an entirely new level – both in terms of stand design, product presentation, as well as the visitor demographic, with the clear shift toward industry professionals. 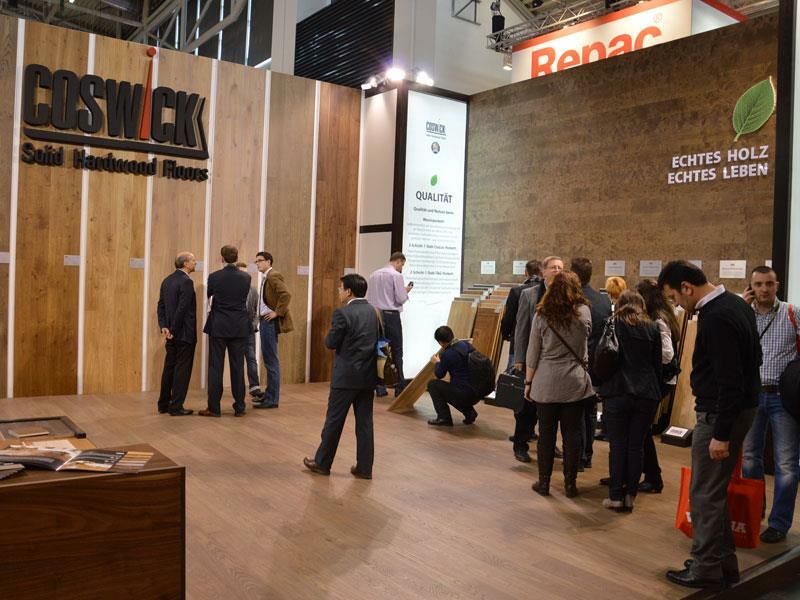 Flooring is always among one of the most popular sections of the exhibition, and this year, manufacturer stands and product showcases clearly reflected the main trends in the world of floor coverings – further shift toward use of natural materials, eco-design, as well as the tendency to use floor coverings as a key element of well-designed modern interiors. 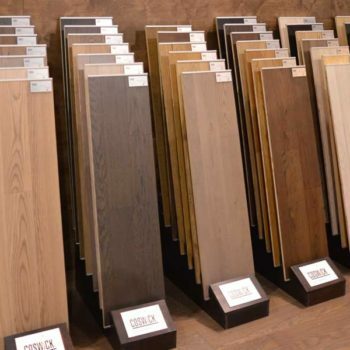 Eco-design is at the peak of popularity, and this is clearly reflected in the newest wood flooring trends. 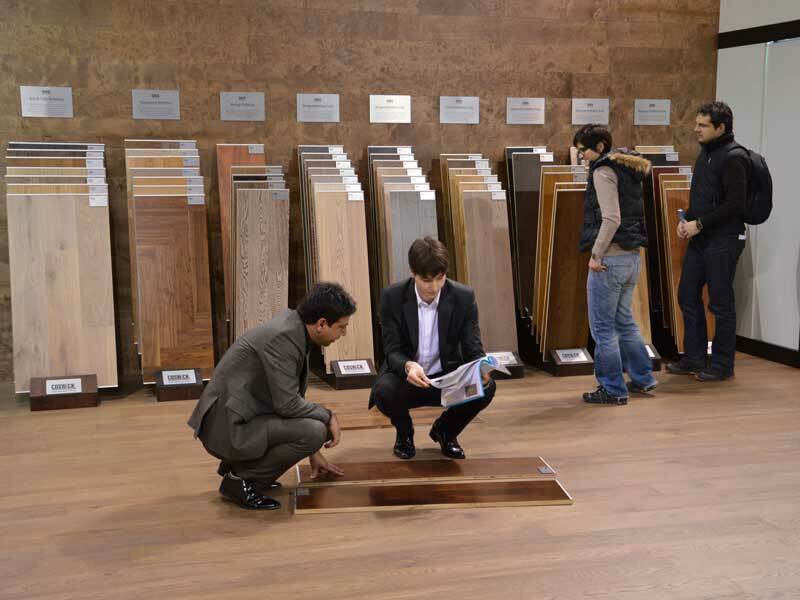 There is a growing demand for multi-colored surfaces with emphasized wood knots and other character marks. 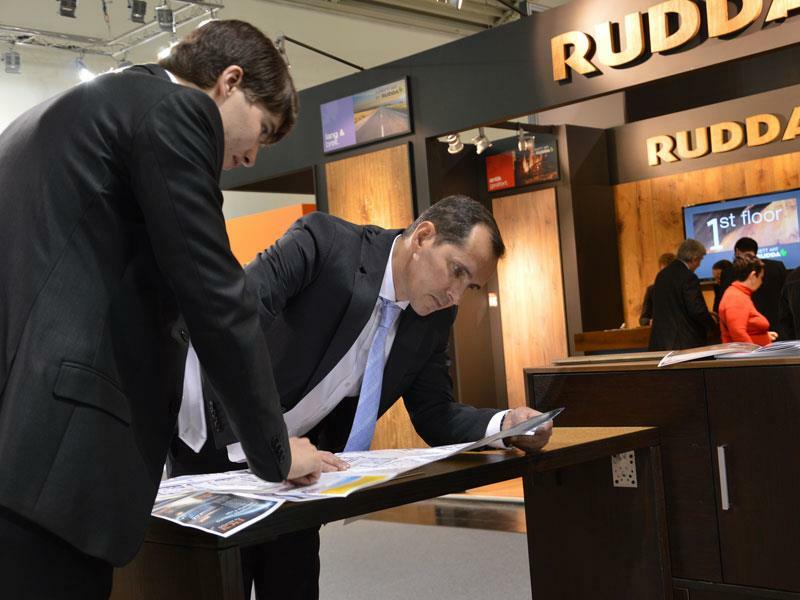 There is a shift away from a refined and polished to a more authentic, natural look. 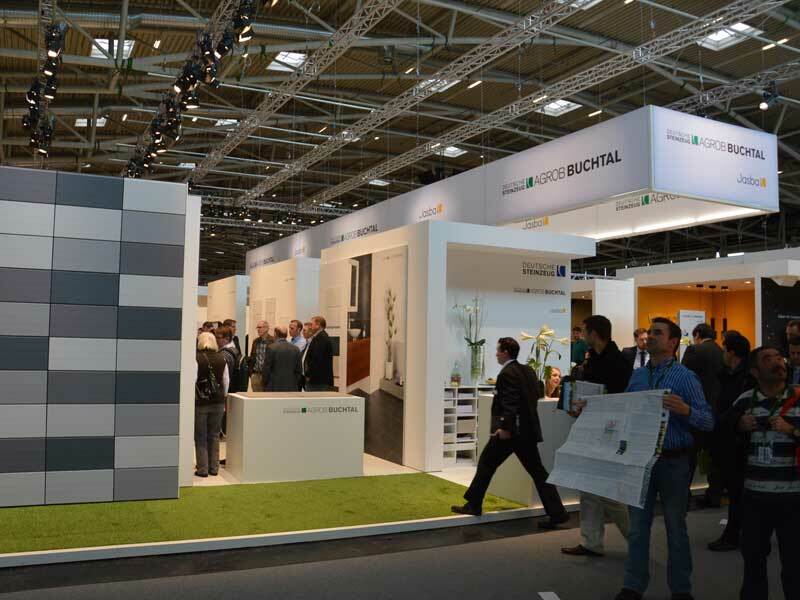 Bleached ashen-greys to deep blacks are among the preferred color tones, with color contrast becoming increasingly popular. 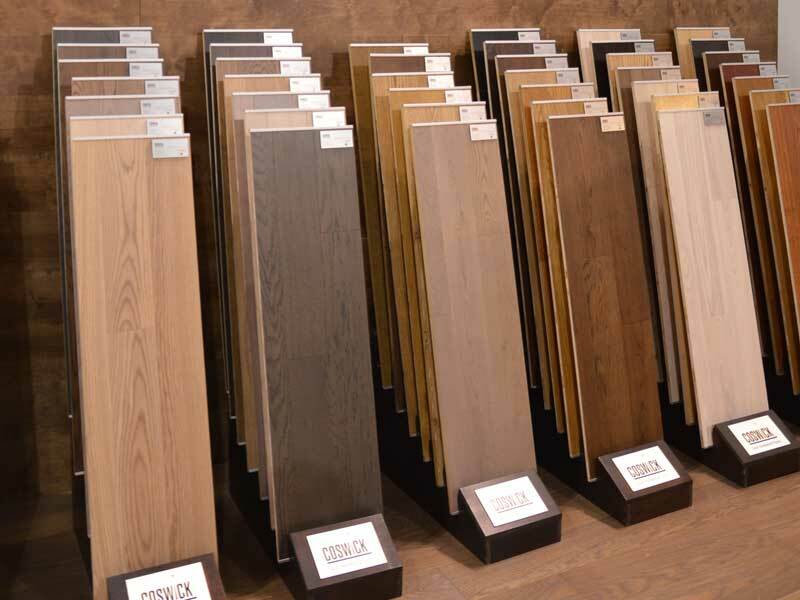 Partial or light staining are also on the rise, and from all wood species currently used for manufacture of hardwood flooring, American walnut is this year’s favorite – color contrast between lighter softwood and darker hardwood have won over the public with its exotic look. 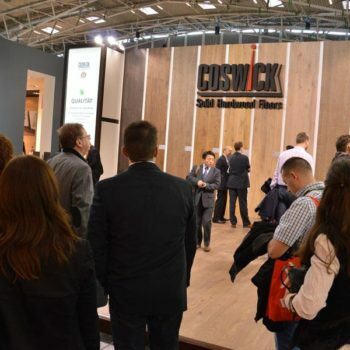 The increasing demand for eco-friendliness in interior design has led to a change in wood floor surface finishes: waxes and oils with natural components are starting to replace polyurethane lacquers. 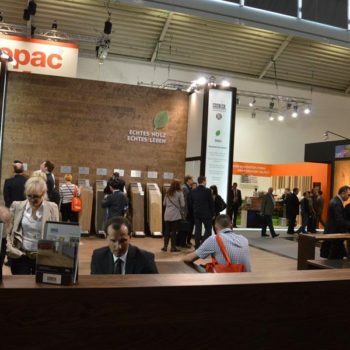 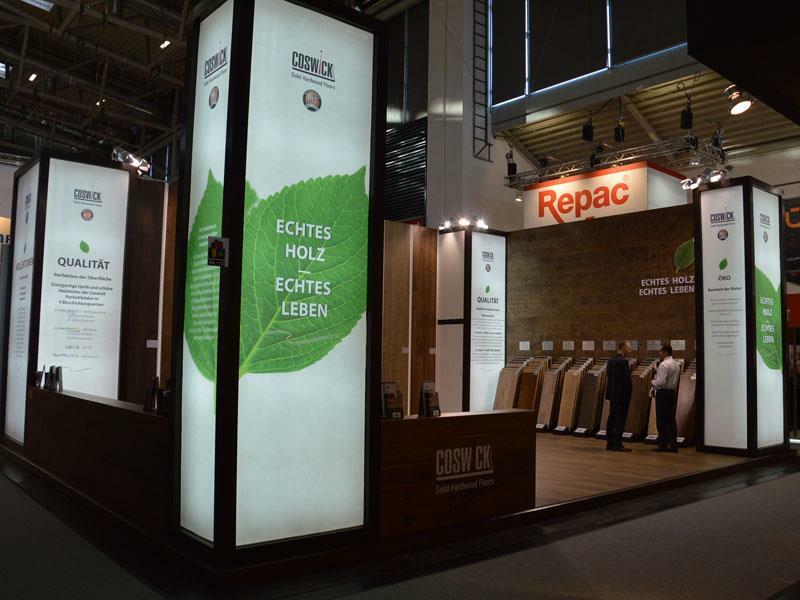 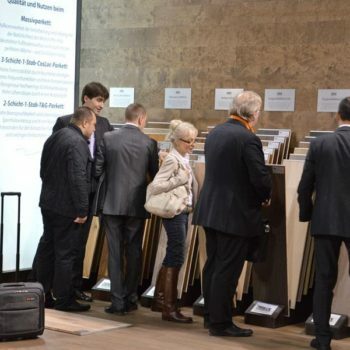 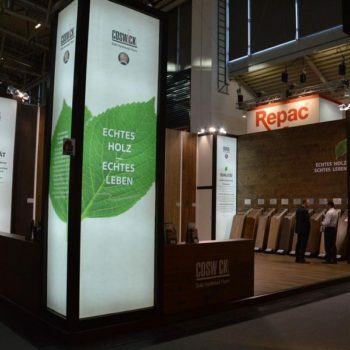 The remarkable new trend in interior design that became very clear at BAU 2013, is in the growing use of natural wood, with its variety of textures and colors, not only for floor coverings, but also for other elements of interior décor. 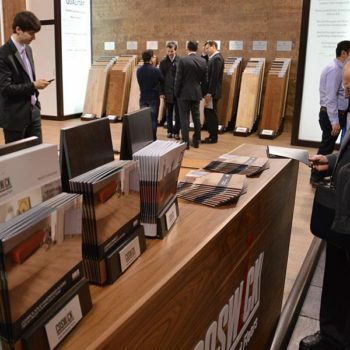 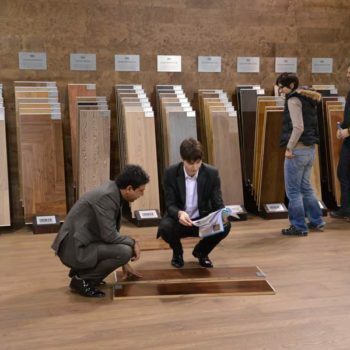 Stands of many leading hardwood flooring manufacturers attracted visitors through use of hardwood flooring and wood wall panels on walls and ceilings. 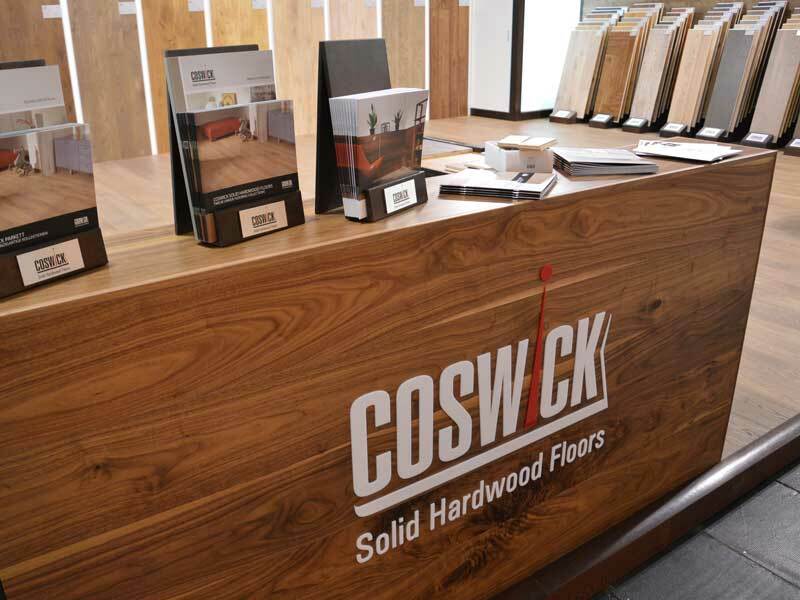 Coswick was one of the very few flooring companies that are on top of this latest trend. 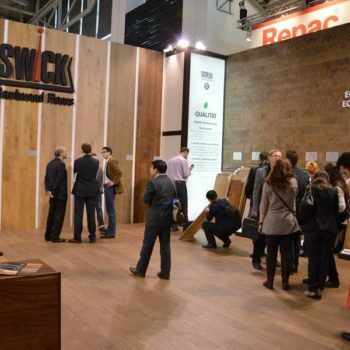 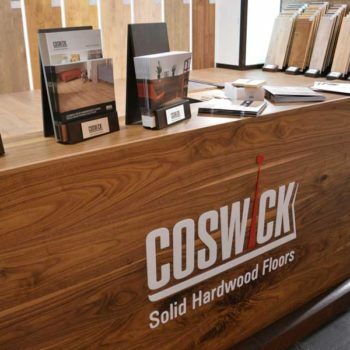 Late in 2012, Coswick launched a new line of specialty wood wall panels manufactured to match existing Coswick hardwood floors. 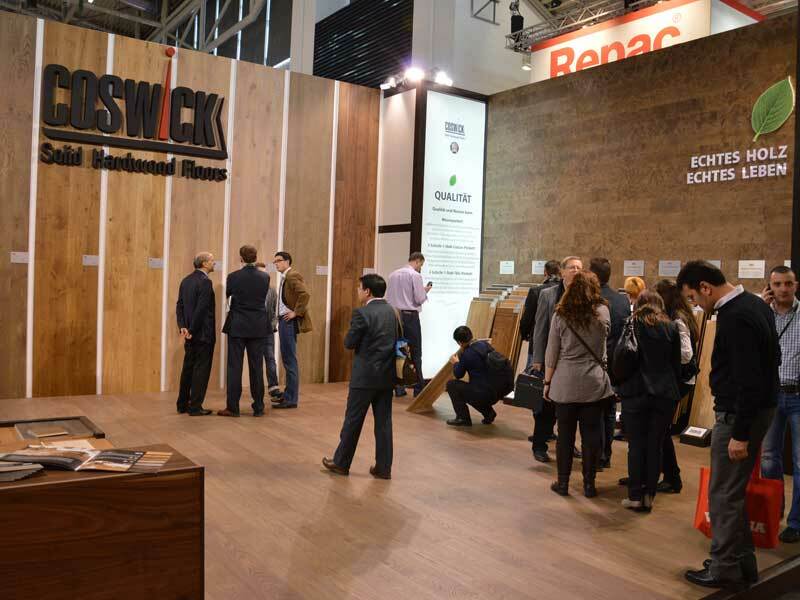 The new collection was first presented at this year’s BAU 2013, and was a definite success among exhibit guests and industry professionals. 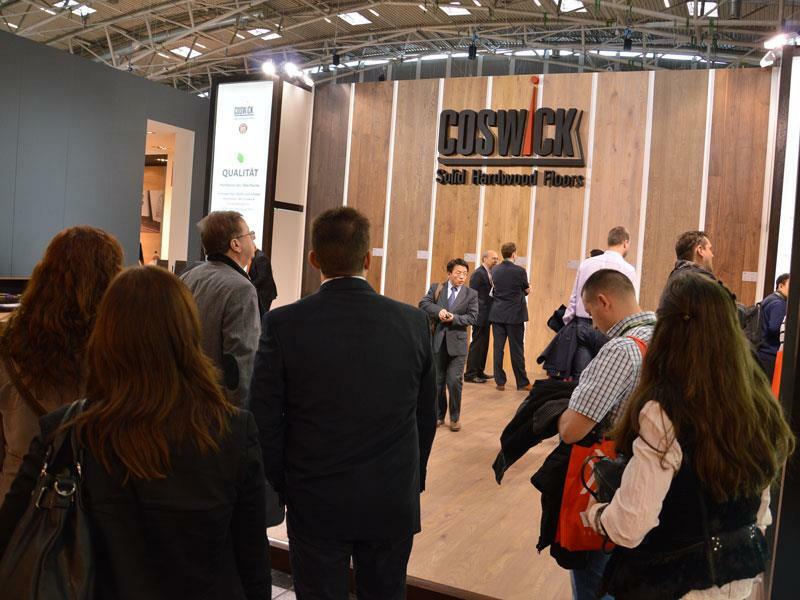 Aside from the new collection of wall panels, Coswick also presented its 12 classic collections of hardwood flooring, including the new Heritage Collection – 6 designer colors of mixed grade engineered oak flooring with factory applied eco-friendly Hardwax Oil finish. 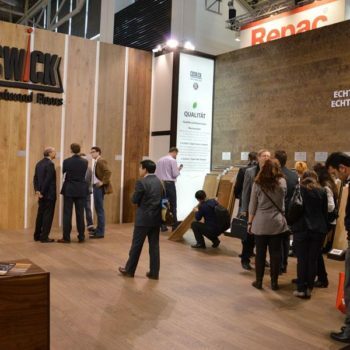 Coswick Arts and Crafts Collection, initially launched late in 2011 and expanded considerably in 2012, sparked a lot of interested among visitors due to considerable plank width (7 ½”), eco-friendly Hardwax Oil finish, as well a variety of designer surface stains.